Lorna's professional background in Sales and Management has always been "service driven". "My clients are sophisticated buyers and sellers who know what they want! It's my job to facilitate the decision making progress to reach their goal". 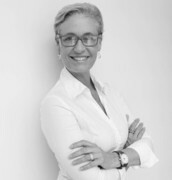 She is well known for going the "extra mile" for clients, and maintains energy and enthusiasm throughout the process. With personal experience of moving a family twice internationally, building and renovating investment and primary homes, Lorna has a keen understanding of real estate from both the vendors and buyers perspective. "It's not an easy task for the vendor or buyer, but with honesty and integrity there is always a good solution". Living in the beach community she represents, Lorna will take great pride assisting you with the sale or purchase of your home!